As we enter our second (ok, third. Ok, fourth!) bout of winter this year, it’s time to upgrade your gear. You’ve got electric hand warmers, and automatic car starters, and electric mowers for the summer months (may they get here soon. )What about that sad snow shovel languishing in the corner of your garage? Guess what? It’s tired. It has done its duty. Let it retire. It’s time to introduce you to the best electric snow shovel range. Electric snow shovels seem ridiculous, but is it ridiculous to dream of a day when removing snow is less of a backbreaking chore and more of a quick, and dare we say fun, activity you can do right before you leave for work? No more wrenching your back. Not this year. We’ve compiled a list of our favorite electric snow shovels, plus answered a few questions about how to choose exactly the right one. Let’s take a look. 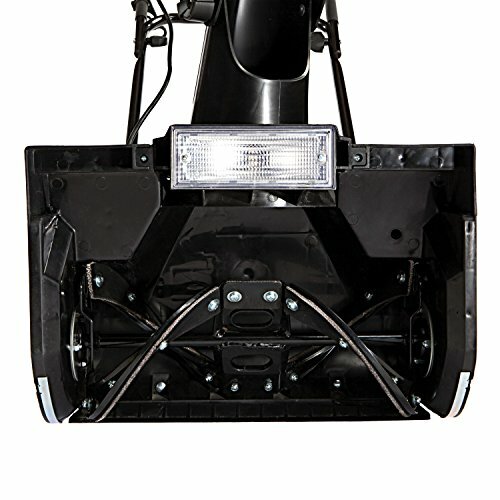 How Do I Choose The Best Electric Snow Shovel? Electric snow shovels aren’t much different than other appliances and equipment. 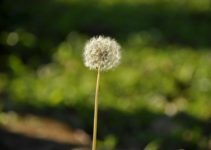 Consider it the way you would a new garden tool. Be real about how much weight you can carry. Those enormous shovels might look fun, but if you’ve got dozens of feet of driveway to clear off, carrying a million pounds is going to get old. Overall, every ounce counts when you’re lugging a piece of equipment around in the cold with numb hands. The average weight for most of these electric shovels is roughly 11 to 15 pounds. The top end of that spectrum might not seem like a lot, but think about how long you’ll have to clear the snow and how convenient it is to put it back in storage. The width and depth of the electric shovel help you know how many times you’ll have to pass over the same patch of the driveway to clear it completely. The secret? You want the lowest number of passes. That isn’t a secret, actually, but you do need to think about how much snowfall you receive each year, and how many times you’ll get out there and clear the snow. More snow and fewer times being an adult and clearing equal deeper snow shovel capacity. Wider isn’t always better. If you’ve got a traditional driveway, then yes, wider means fewer passes. However, if you’re clearing a small porch, steps, or other walkways, wider means more times you’ll bump into an obstacle and a higher percentage chance you’ll throw that shovel right through a window. Corded anything is annoying. You’ve got to plug it in somewhere, battle the cord, and risk getting tangled up. The upside? You can clear snow for days (not that you would) without running out of power. In fact, you’ll never run out. Big jobs are worth the hassle of the cord so you can finish all in one go. 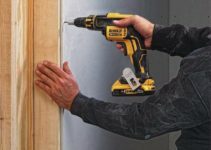 Cordless is very convenient because there’s nothing to trip over, but consider how long it will take you to clear your space. The convenience of cordless isn’t going to be so convenient if you can only finish half the job before you’ve got to charge the shovel. If you get deep snow, or you have an old injury preventing you from having full strength, a self-propelled shovel might be helpful. You still have to push and guide the shovel, but self-propelled shovels have powered rear wheels that work a lot like your car’s power steering. It makes the shovel easier to maneuver through deep snow. If you have light snowfall or you only occasionally clear snow, then the powered rear wheels are something else that could break or need maintenance. They are also more of an investment than standard electric shovels. Snow blowers are heavy duty snow clearers. They are great for deep snowfall mixed with ice and compacted down. They are also cumbersome and heavy. Electric Snow shovels do an excellent job of clearing smaller areas of lighter snowfall without waking the entire neighborhood. They are lighter and use less power. Choosing depends on the kind of snow clearing job you have. 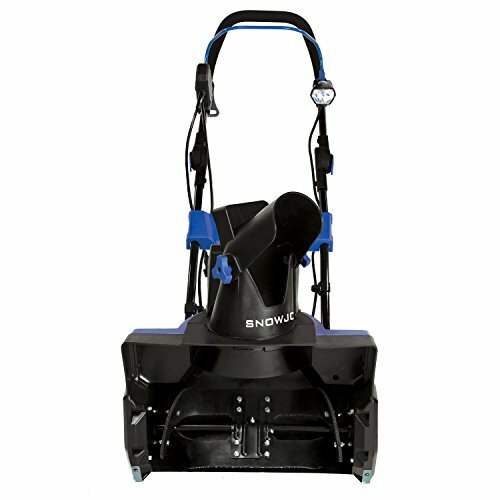 If it’s light to moderate almost all the time, a snow shovel is going to be more convenient than a snow blower any day. Our first snow shovel is a 13.5 amp corded snow shovel that clears paths 18 inches wide and up to nearly eight inches deep. It has rear-mounted six-inch wheels that won’t go flat and are large enough to drive through snow without getting bogged down. It clears up to 490 pounds of snow per minute. The powerful motor shoots snow nearly 20 feet away from the clearance site, plus there’s an easy to operate chute adjustor so you can change the direction of the snow clearance. This way you won’t go into hysterics trying to map out a route that won’t blow snow onto an already cleared path. It has a wide-mouth chute to reduce blockages and keep snow from gunking up during a big job. It has its own carrying handle, plus an extension cord wrangler to keep the cord in check. To start it, you squeeze the cushioned power bar against the soft grip handle. 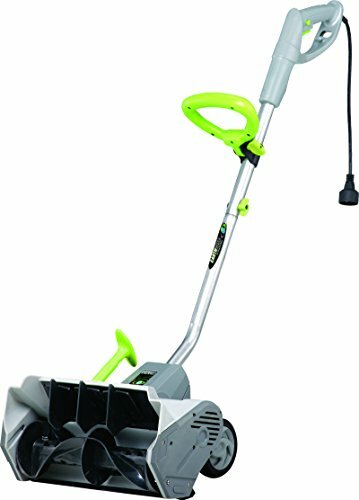 Greenworks is a compact and lightweight snow shovel that clears paths up to 20 inches wide. It throws snow up to 20 feet away from the original site. It has a 10 amp corded motor. It has a 180-degree adjustable snow chute so you won’t burst a blood vessel trying to avoid blowing snow all over an area you’ve cleared. It’s also easier to store because the handle folds neatly away for compact storage. It handles about six inches depth of snow, but only works with 120 volts, so be sure you get the correct type of extension cord. Toro’s electric shovel is a smaller snow shovel that’s light but still clears a good bit of snow. It has a curved rotor so that snow doesn’t get clogged in the chute. It’s a smaller power shovel at just 12 inches wide and can handle a depth of six inches deep. It’s good for smaller areas where you need to be able to maneuver and don’t need as wide of a range. It doesn’t have an adjustable chute, so you should plan your route accordingly. It weighs only 12.5 pounds. The body is plastic, but the adjustable handle is metal and rust resistant. 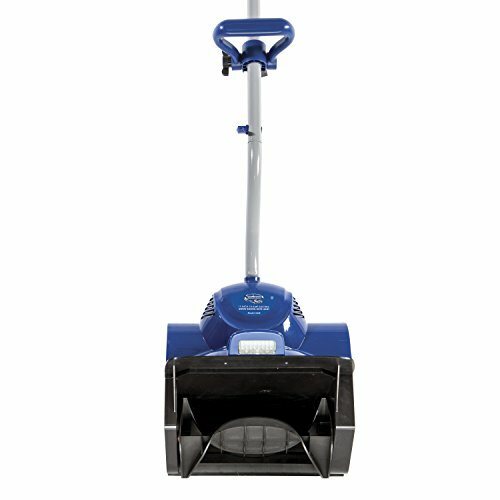 Snow Joe’s electric snow shovel is an with an 11-inch clearance. It clears about 300 pounds of snow per minute. It’s good for smaller amounts of snow. It weighs about 14 pounds. Although it doesn’t handle large amounts of snow, it does have LED lights on the front so you can see where you’re going. It’s best for people who don’t need to clear a lot of snow but can’t always get out during daylight hours. It’s corded and has an ergonomic handle to prevent strain from operating. It doesn’t have an adjustable chute, but the cord wrangler makes jobs a little bit easier. The shovel from Earthwise is an ultra compact, ultra lightweight shovel that’s good for the occasional job. It stores well and clears up to 300 pounds of snow per minute. It has a ten-inch path and a five-inch depth. It isn’t good for big jobs, but if you need to clear out a small bit of snow from a walkway or a tiny porch, it’s an excellent tool. Its most significant benefit is that it’s smaller and easy to store. It doesn’t have a directional chute, but it will get a small job done well without being in the way. 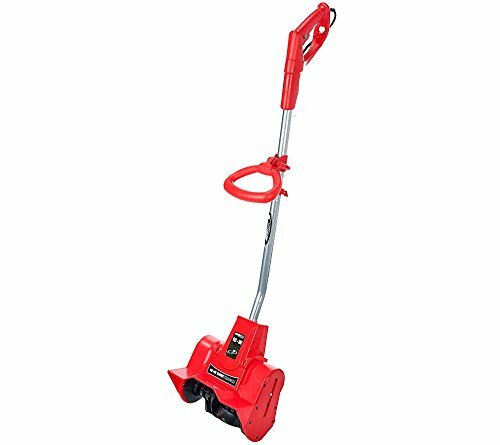 Snow Joe’s cordless electric shovel is a powerful machine that clears 15 inches of snow in one pass. It removes 440 pounds of snow per minute with a double blade auger at up to eight inches deep. The chute is adjustable so you can direct the snow away from your path. There’s also a rubber scraper bar so you can clear right to the ground without worrying about damage to your deck or stonework. It comes with a 40-volt lithium ion battery that runs for up to 30 minutes before the next charge. It’s very quiet and has no carbon emissions and no cord to trip over. It has a push-button start and is ergonomic to reduce strain. If you don’t need the massive reach of the previous Greenworks snow shovel, the company also makes a 16-inch version. This one is easier to maneuver in tighter spaces and gives you a little extra room in storage. It features the same power as other shovels in the Greenworks line. There are six-inch radial wheels that won’t get bogged down in deeper snow. It discharges snow up to 25 feet with its ten amp motor. It’s very quiet, but sometimes the power button is difficult to manipulate with a gloved hand. That said, it’s a reliable machine best suited to smaller areas. Upgrade from the smaller Toro to a powerful 18-inch snow thrower. It moves up to 700 pounds of snow per minute with a 15 amp motor. It cleans down to the pavement while preventing clogging with power curve technology. The shoot is adjustable, so you don’t worry about blowing snow back into your path. The handle is ergonomic to reduce strain and weighs just 25 pounds. The handle folds for compact storage. The cord fits into the handle, so you don’t accidentally unplug it during use. It’s also very quiet. The 12 amp Earthwise is a little bigger and a little more powerful. It moves snow at a width of 16 inches and up to a depth of eight. It moves up to 430 pounds of snow per minute. If it snows moderately in your area, this Earthwise model might be a better choice. It still has a cord, which is good if you need more time to clear things out. 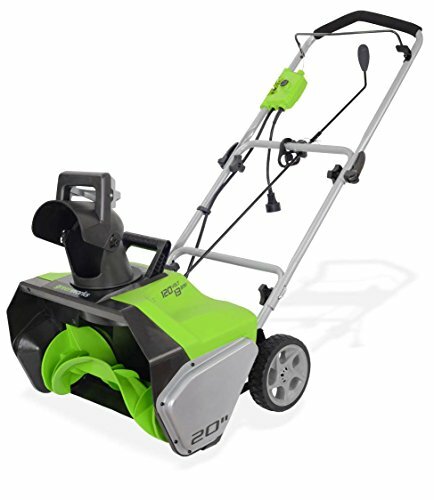 The durable double auger helps cut through icy snow, and the 12 amps throw snow up to 30 feet away.The handle isn’t adjustable, but it is ergonomic and designed to reduce overall strain. Our final snow shovel is a massive 18 inch model with LED lights so you can see what you’re doing. It’s great for mid-sized driveways. It moves up to 650 pounds of snow per minute. 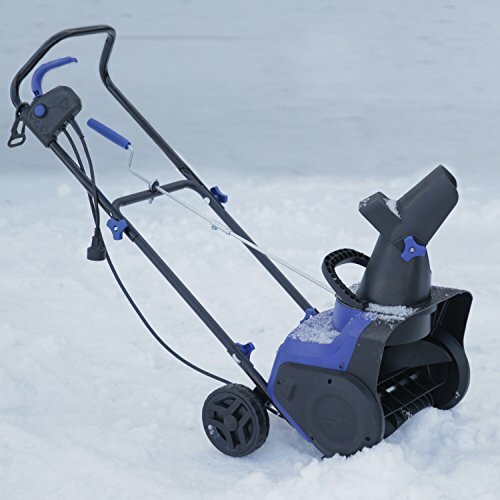 It has two steel augers that cut up to 8 inches deep of snow without getting clogged. You can also adjust the height of the chute to direct the snow away from areas you’ve already cleared. 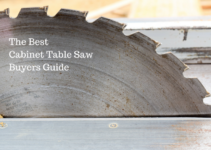 It has a scraper blade to clean all the way to the ground without damage to your deck or stonework. What are your must-haves for your snow clearing arsenal? Let us know in the comments below.